Over the years I’ve read many books and watched many talks but a few stand out (at least for me) that influenced me in my development career. This book opened my eyes that I approached software development completely from the wrong standpoint: the software should serve the user not vice versa. This book taught me that you can change the structure and the design of the software without changing its function. Cool. Seeing a new way of interacting with your software in development blew my mind. Think WYSIWYG on steroids. Getting to the core of what is essential and what really needs to be done in software/product development is laid out here so clear and stripped down that it struck me. Another book which reduces its topic (this time: presenting information) to the core and by this identifying so much unnecessary practice that it hurts. Purpose. Why do you develop software? Why do I arrange an UI or the architecture of an application? This is what design is about. Concentrate on the main part, the bigger part, the 95%. If you get them right the rest isn’t so important after all. Do what you can do with what you have. I’m reading a lot of books and based on my profession and interests, my list includes many software development and IT books. I want to share how I manage my reading and give some recommendations for a special type of book that I call “toilet book”. The human mind is a peculiar thing. You’ve probably experienced the effect of getting up to perform some minor task in an other room only to arrive there with no recollection about what you wanted to do. Between the thoughts of “ok, let’s do this now!” and “why did I go here?”, just a few seconds have passed, but another aspect has changed dramatically: your geographic position. As a side note: If you don’t know what I’m talking about, consider yourself lucky. Our memory is often bound to the geographic position and changes when we move. If you want to remember what your forgotten task was, try returning to your original location. You’ll often see me walking around the same way twice within seconds. That’s when I have to rewind my location-based memory. The first book is the “leisure book“: I will only read it at comfortable locations like the couch, in the sun on the balcony or in the bathtub. This book is often fiction or has at least nothing to do with IT. The second book is the “travel book“: You’ll seldom see me travelling without a book and just a few minutes of tram are sufficient to read some pages. This book is often IT-based, because I read it on my commute to and from work and sometimes in my lunch break. The third book is the “toilet book“: You’ll never see me reading this book, because it is stored besides my toilet and is exclusively read there. Books that are suitable for this task often have a special structure that aligns with the circumstances. More on this in a moment. By having a clear separation by location for the three books, I’m able to keep their content separated and switch from one reading context to the next without effort. It happens naturally if I refrain from reading my travel book at home or taking my leisure book on the train. A good toilet book has a special structure that accommodates for the special timing of a toilet visit. If you spend two minutes on the toilet, the book should have chapters or at least paragraphs that can be read in two minute intervals. Ideally, the book is specifically designed to contain short chapters on different topics that have no strong over-arching story. A typical example of a good non-IT toilet book are comic books like Calvin & Hobbes, The Peanuts or any other comic series that has small self-contained comic strips. You read one or two strips, are amused and interrupt again without having to memorize a complex context. Good toilet books allow for short, context-free reading sessions. In short, for me, calling a book a “toilet book” is not a derogatory taunt, but a neutral description that this book is structured in a way to support repeated short-time reading sessions. For me, these books are a good choice for a tertiary reading track. Right now, my reading list of good IT toilet books is rather short. If you happen to know a book that fits my description, I would be thankful for a hint in the comments. Thank you! Last week, I’ve done a question and answers event with students when the question came up what the most influential books were that I have read as a software developer. I couldn’t answer the question right away but promised to compile the list with short descriptions of the book’s influence. And here it is – my list of books that left a big mark in my day-to-day work. Others have done the list of books thing before me, and most lists contain the same books over and over again. I take it as an indicator that my list isn’t too far off. Before I start the list, I want to say a few things. The list isn’t ordered or ranked. I describe the effects of each book from my current standpoint, sometimes 20 years after the fact. I read a lot more good, interesting and inspiring books in the last 20 years and they all added to my work personality. But with all the books on my list, I felt enlightened and vibrant with new ideas. They didn’t just inspire me, they elevated my thinking. And because of this criteria of immediate improvement, one book is missing from the list. 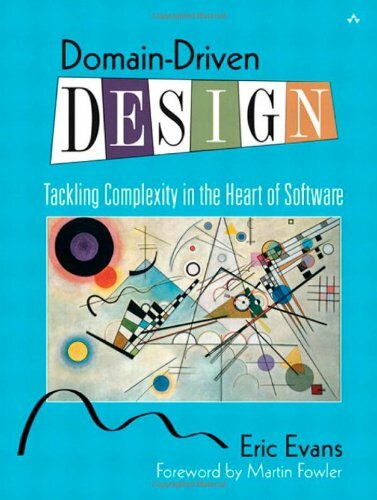 It’s the first “serious” software development book I’ve ever read in 1998: “Design Patterns“. The book was just too much for me (and my study group peers) to handle such early in our careers. We were in our first year of study and had a lot of other battles to fight. I crossed it from my reading list and moved on. Years later, I re-read it and saw so much insight I plainly missed the first time, but gathered elsewhere since. If you want to read this classic, don’t hesitate! If you “only” want to know about design patterns, there’s a better book for that: “Head First Design Patterns“. 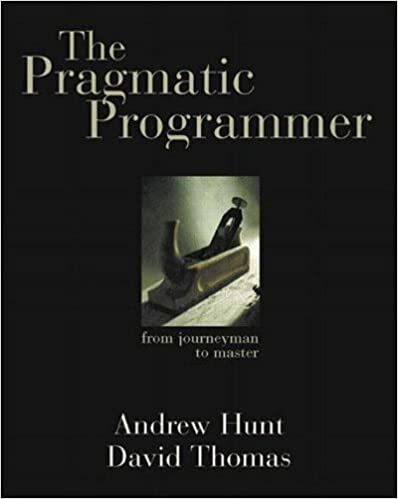 More by chance, my co-founder stumbled upon “The Pragmatic Programmer” in 1999 and devoured it. Then he gave the book to me and it shattered me to my core. I thought I was a decent software developer and here are Dave Thomas and Andy Hunt and talk about things I didn’t even knew existed. A healthy dose of Dunning-Kruger effect is crucial in everybody’s upbringing, but this book ended my overestimation once and for all and gave my studies a focus and direction I wouldn’t have thought to be possible before. I own my whole career to this book, at least in terms of work ethics. I cannot fathom how my professional life would have played out otherwise. 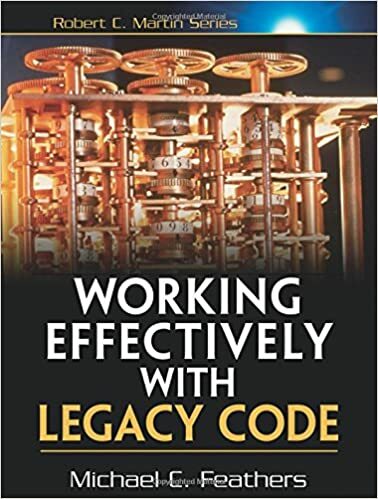 In 2004, Michael Feathers wrote a book that contains his 20+ years of experience with software development and named it “Working Effectively With Legacy Code“. Well, joke’s on you – I don’t write legacy code, my code is perfect. That wasn’t my attitude since 1999 (see list entry #1) and I took this book everywhere. It’s a heavy one, but I read it in the tram, right before the movie starts in cinema, during breakfast, lunch and dinner and virtually any other circumstance. I realized that reading this book will gain me experience a lot faster than actually writing code, so I just stopped for a few weeks. This book answered a lot of mysteries in the form of “is there really no better way to do this?” for me. And it introduced the concept of code seams for me that permeates my work ever since. I can clearly remember the day when I looked at my existing code again and saw the seams for the first time. It was truly eye-opening for me. 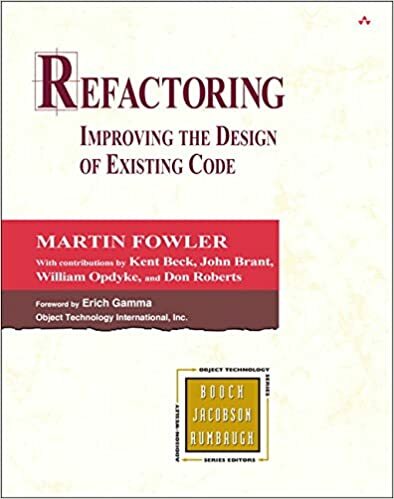 Martin Fowler was a very productive author in the late nineties. I’ve read most of his books from this period, if maybe with a few years delay. 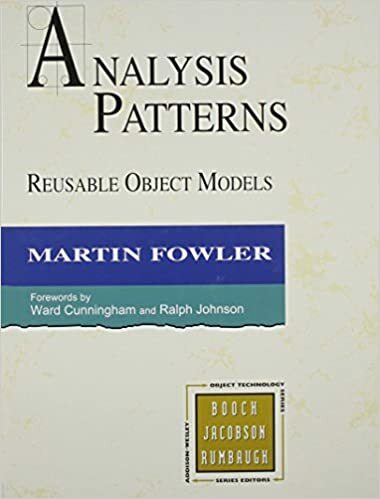 “Analysis Patterns” from 1996 arrived in my bookshelf in the early 2000’s and was my wake-up call to seeing models instead of actualities. I’ve given this book to many peers, but haven’t received the reactions that I had with this book: Being taught a language (with a graphical notation) that can express actual problems in terms of an overarching solution. Since then, I’ve seen the same solutions applied in many different forms, with many different names and a lot of different special requirements. But they all derive from the same model. This effect was promised by the “Design Patterns” book, but for me, delivered by “Analysis Patterns”. Even Martin Fowler admits that the book is showing its age, but for me, its timeless. Since the late 80’s, Tom DeMarco and Timothy Lister wrote one book after the other. Each book describes a common business-oriented problem and at least one working solution for it. And yet, the very same problems still persist in the business world. It’s as if nobody reads books. 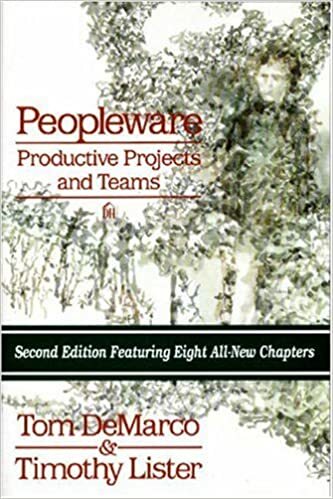 “Peopleware” was written in 1987, 30 years ago, and discovered by me and my peers in the late 1990’s. We talked about this book a lot, as it described a (business) world where we didn’t want to work in. We wanted to do better. In a way, this book was a spark to found our own company and don’t repeat the mistakes that seemed to be prevalent in our industry. If you’ve ever shaken your head about “the management”, do yourself a favor and read this book. It will pinpoint the precise problem you’ve felt and give you the words to describe it. And if you’ve read “Peopleware”, liked it and want more, there is good news: There is a whole series waiting for you (not just Vienna). These are the first five books from my list, with the last entry being more of a catch-all for a whole series. Remember that this isn’t a generic “go and read these books if you want to call yourself a professional software developer” list. I’m not gatekeeping and it would be useless to even try to do so. These books helped me further my career in the last 20 years, they won’t necessarily help you for the next 20 years. Good books are published every year, you just have to read them. I’m looking forward to share the second part of my list in the next blog post of this series. Stay tuned! In 2008, a book changed the way software developers around the globe talked (and hopefully) acted about their code. Robert C. Martin’s “Clean Code” was and still is a cornerstone of modern software development. The book itself is remarkably weak in its code examples, but has strong and effective messages on the level of practices and principles. Even today, ten years later, this is the one book that most of my students read and are passionate about. It’s a book that speaks reason to them, albeit with some contortion because of high volume. Robert C. Martin has the tendency to preach 200 percent in order to still get the half-convinced to an acceptable level. So when a new book from him, called “Clean Architecture”, appeared on the horizon, I was thrilled. 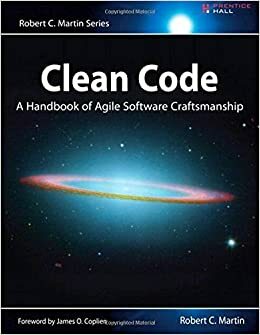 Would it be groundbreaking like “Clean Code” or a dud like “The Clean Coder” (sorry, my opinion – this is a personal review, not an academic evaluation)? 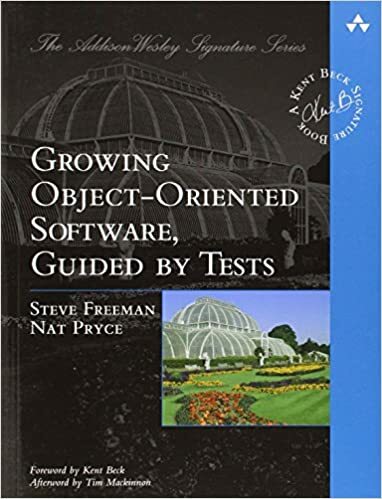 I’ve read some very good books about software development (like “The Pragmatic Programmer”), fantastic books about programming (“Refactoring” and “Working Effectively With Legacy Code” come to mind) and even some mind-blowing pieces about design and emerging architecture (my first read of “Growing Object-Oriented Software, Guided by Tests” felt like a personal audience with Steve Freeman and Nat Pryce). But all these books dealt with tactics, with the immediacies of software development. Don’t get me wrong! This is the most important part and it helped me tremendously. But there are parts “above” the footwork that needs to be addressed in bigger systems, too. And there, the literature got thin or stale. Books about software architecture talked about large-scale architectures (so-called “enterprise scale” systems that span from horizon to horizon, like in “Patterns of Enterprise Application Architecture”) or had the taste of dry plywood because it was clear that the findings were from another era and would translate badly into modern software development. 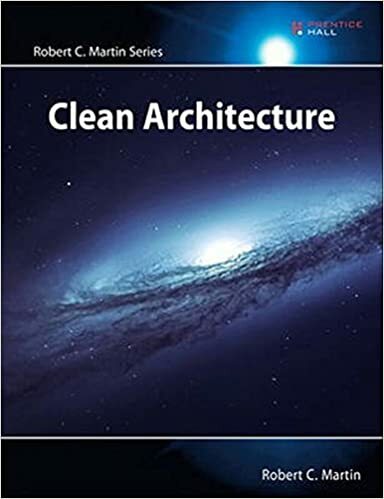 “Clean Architecture” begins with a quick and focused overview over the current programming paradigms and a conclusion that there are no different “eras”. We didn’t get better in designing systems, we just changed the aroma and color of our failures. Future generations will look at our code and architectures as scornful as we looked at the ruins of the systems of our ancestors. And make no mistake – the ruins are still in production today! We cannot place our hope on another new and liberating programming paradigm because there probably won’t be one. We have to make do with what we have. This is the first six chapters of “Clean Archicture”. 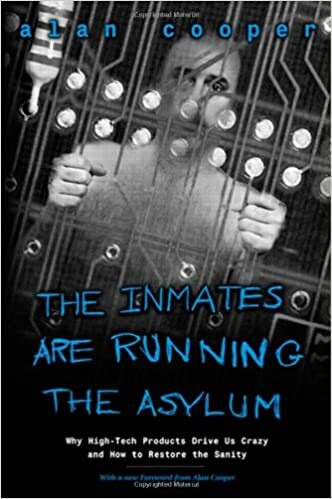 The chapters are short and on point and I loved every line of it. It probably isn’t the most comprehensive and balanced description of structured, object-oriented and functional programming, but it provides a narrative that is intuitive and convincing – your mileage may vary, I was hooked. In the next five chapters, Robert C. Martin reiterates the known SOLID design principles. I rolled my eyes when I glanced the content because I’ve read it like a hundred times in maybe as many books. But I decided to read it once more and I’m glad I did. The principles are known, but the underlying revelation is woven into the text like a good thriller. I hesitate to give away too much, because I really think this book can be spoiled – just like a good thriller. I was sold. Robert C. Martin can explain the same old SOLID to me and I still learn something and have fun. Then, the part about components. It feels like an intermezzo to an even better thriller, because suddenly there is math and formulas. Its interesting and noteworthy, but if you followed the metrics discussion in the last fifteen years, the excitement of this part will be dampened. But wait, there is more! Starting with page 133 of 321 (yeah, the Appendix is interesting, but more in the “The Clean Coder” way of things), there is the central question: “What is Architecture?”. There it was again, the thrill that in every line, there could be insights that are worth weeks of thoughts. I read this part in the train from south to north germany and I stared out of the window often, following my own train of thoughts. Again, no spoilers, but the way the answers are given is so refreshing and the answer itself is so simple that I’m surprised that it took me this long to not come to the same conclusion. Software architecture lost some of its mysticism, but gained a lot of applicability for me. I was spent (in a good way). And then, on page 200, finally, “The Clean Archicture”. Well, I watched all the trailers on this topic, so my surprise wasn’t really there, but with all the knowledge and insights from the first 200 pages, I could have “invented” the Clean Architecture by myself then and there. It’s more or less the logical next step from the prerequisites. I applaud this masterwork of storytelling, because it doesn’t overwhelm the reader with the genius of the narrator, it drives him to connect the dots himself. The rest of the book, like the title of part VI, are just “Details”. The central message – The Dependency Rule, this little spoiler should be allowed – is simple, convincing and deduced from the beginning. I’ve seen the heart of software architecture and it is beautiful. I even forgive the many typos and grammatical errors (far more than usual) and the bulky appendix for this ride. This book is definitely up there with “Clean Code”. It is accessible, has a clear message and profound effects. And it refrains from preaching most of the time. No need to turn it up to 200 percent when your message is so convincing in itself. Conclusion: If you are interested in software development with a structure, go grab this book as soon as possible. We’ve waited long enough! Being clean coders we build our software based on quality and reflect on how we do it. We set internal standards in code and UIs, we write tests, we polish. But there are times when all this focus on quality is obstructive. Times when we need to learn something. For example: at a start of a project when fundamental questions like is it feasible, how should this interaction work, what’s the right order of steps are unanswered, learning needs to be as cheap as possible. Here quick and dirty is important. The problem is our ego. We want to polish it, we want to build real software with a sound structure. But quality takes time. The problem is quality is not important when answering the fundamental project questions, learning is. May be a mockup in Powerpoint is enough? (not even writing code? ugh). A simple sketch on a piece of paper. Or maybe just a quick demo hacked together in an afternoon. I know these suggestions may insult our pride. But we need to focus on what’s important: sometimes that’s quality, sometimes that’s speed. Decades ago when I started coding, quick and dirty wasn’t a problem. Everything I wrote was quick and dirty. I was learning all the time. Over time I got better at developing software, structuring applications and building robust systems. But quick and dirty was lost along the way. When you write something for the purpose of learning it can happen that you are wrong and all the code has to be thrown away. If it was just 2 hours patching something together that’s okay, but what if you spent a whole week? Just like writing quality software, quick and dirty is a skill in itself and as with other skills we need to practice it. But beware this is not only a problem at the start of a project: often as developers we tend to overthink something, we plan for every possible outcome, imagine scenarios with weirdly acting users or systems. This is the time to stop and implement something to learn. To get feedback. Not to overanalyse or overdesign. Just release something and test it with real users, it doesn’t need to be part of the software in production, just use a demo or a staging environment. But if you need to learn something, focus on that, not on quality.